In this article we are going to explore the relationship between Emotion, Mindfulness and Somatic awareness. It is a question that many people have wondered over the years. With modern scientific research and state of the art machinery, we are able to understand the complexity of the human body and brain to a greater degree than ever before. It is a very exciting time to be alive, watching the field of neuroscience in particular mushroom with evidence. Considering we have all this information, we as humans still suffer with concerns, worries, anxiety and stress. With modern day society and its labour saving devices, we should find life to be easier. But where we save time with certain activities, we can find ourselves being sucked in to another areas of life and become caught up living in a hamster’s wheel; racing around, but getting nowhere. Then all of a sudden we collapse in a heap, feel wiped out and notice that our body has been screaming out for attention for a while. We have been so absorbed with daily activities, that we have not noticed the subtle symptoms which have now become severe and possibly chronic. But how and why did this happen? The signals from your body directly shape your emotions and your emotions directly shape your body. For instance, the brain detects sensory feedback from the body, such as a frown in the forehead when one is anxious or angry, muscle tension when a person is starting to feeling overwhelmed or stressed. I am sure you have felt intestinal cramps or pain from time time when you have been worried or stressed. Many times throughout our day this sensory feedback is happening and we are unaware due to our focus being on other pursuits. What creates this sensory feedback? This sensory feedback is collected from the somatosensory system, which is part of your sensory nervous system. 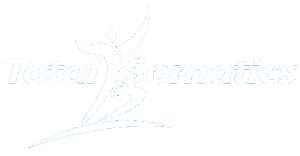 The somatosensory system is a complex system of sensory neurons and pathways that responds to changes at the surface or inside the body. This information is relayed to the brain for additional information. Research has shown that when a group of people were read a story which could be interpreted with a different meaning, their facial musculature patterns were activated. Some of the group interpreted the account sad and held sad facial expressions. The other group interpreted it different and found joy and happiness from the account. The somatosensory data from their faces registered in the brain and directly affected the activation of either sad or anxious regions of the brain. In contrast, the other “joyous” group had very different results. The stress areas in their brain had very little activity but rather other information processing areas were very active. Directly linking emotion with how we develop, operate, grow and function with how we PERCEIVE life. After all, the way we feel, behave, speak, respond or react to events in life depends on how we perceive these things. The brain detects sensations from our viscera. Viscera includes areas of our internal body such as the intestines, stomach, heart and lungs. The viscera plays a huge role in our emotions and the sensory information is relayed to our brain. Once again the viscera is part of our SOMA (whole person/being) which Thomas Hanna refers to in the modality Somatics. So when we are affected emotionally by something, our viscera can become troubled and we can exhibit pain and discomfort. We really cannot separate the influence the mind and body have on each other, we truly are a sensory organism. The brain is a truly amazing piece of our physiology and we know from neuroscience that it creates a somatic (whole body) map which is shaped by our life experiences. So basically, our knowledge about how we feel somatically or as a whole person (internally and externally) is largely based on the nature of our somatic map. It’s how our body has been moulded according to what we have encountered and how we have responded over the years. So if we encounter something slightly different to how we have been moulded from previous experiences, this can alter or change how we respond to the event. So we may find that we have been ticking along quite nicely and then something triggers us which creates an emotional reaction. This creates a shift in the brain and evokes past memories and imagination. This causes physiological changes such as increased heart rate and breathing, sweating and dilated pupils. So our emotions have a huge influence on our brain via the sensory nervous system. The sensory feedback which the brain receives from the somatosensory system activates areas of the brain, either causing a stress response or reducing that stress reaction and instead activating information processing areas. When we bombard our SOMA with stress over the years, it creates problems for our health and well being. The more we can develop mindfulness in our daily lives, the greater impact this will have on the sensory information relayed to the brain. Mindfulness will activate certain brain regions and reduce activity in the limbic system which will help protect our brain and body from becoming overly stressed. This is why throughout the month on May, I am posting a video every Monday morning (Australian time) on the theme ‘Mindful in May.’ Each week I am posting a 5 minute video teaching you about mindfulness and encouraging you to try one particular Mindful activity each week. If you aren’t following Total Somatics on Facebook, please do. 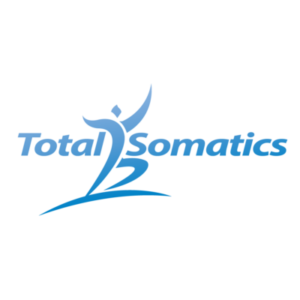 Join the Total Somatics community by developing mindfulness skills to help your SOMA deal with the challenges you have to encounter in modern day society. See you on the Total Somatics Facebook page.